Many companies resort to various social media to reap maximum profit from their investment. It helps them to generate more traffic to their sites as well as help in generation of revenue. Though building the momentum through the use of social media might take some time but the result is prominent in due course of time. A host of benefits is associated with the use of social media for your business. The major one is the recognition of the brand among the users in the world of web. Social media serves as a traffic generator, so when you share any content through it make sure that the viewers who glance through the website take definite action and convert the visit to a business opportunity. Social media marketing is effective in building relationship with clients and also a reputation for the brand. Through the analysis of the visitors, you can get information regarding their target audience. This information helps the companies to formulate plans for marketing campaigns. The rise in the use of mobile phones has contributed immensely to this form of marketing. This has helped the companies to regularly notify and inform their clients regarding the different updates. You can also interact with the users through the forums and blogs and gain feedback from them. 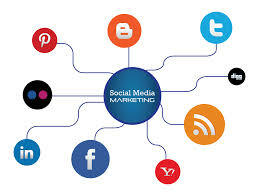 Compared to the other tools of marketing, social media marketing is considered to be cost-effective in nature. All you need is to hire a professional team, who can handle the content that you need to publish through the social media websites. If you need more information on the above topic you can click here. If you where to ask a SEO agent regarding Google’s recent updates, they would defiantly blame the search engine for making SEO harder to perform today. It all began with the Penguin and Panda updates which screened website content to determine those which delivered higher quality information. The updates also detected those with copied content and at the end of the roll out most of the websites which had used low quality SEO techniques found themselves de-indexed. These updates have sent jitters down each SEO firm and agents spine and today many adhere to the guidelines linked to optimizing content. 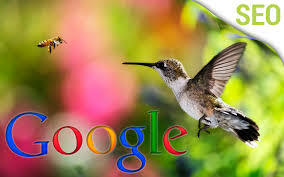 But Google hasn’t quit yet and recently released the hummingbird update which is designed to help improve search queries. Rather than identify content related to optimize keywords the update requires the entire article or content to be optimized meaning it should provide voluble information to the reader. This means SEO service providers once again require to rethink their approach towards developing content where key word optimization may not be adequate to rank pages highly since hummingbird analysis longer phrases. It’s crucial each SEO firm and agent spend time to understand each of these updates so as to get the highest quality information and learn how to work along these guidelines to deliver the highest quality services. Rather than concentrating to building links on content, SEO firms require placing more emphasis on the quality of content being developed and published. Surveys done on people accessing the internet for information shows the majority are pleased with the Google updates as it has helped deliver higher quality content; something each serious reader is always looking out for.